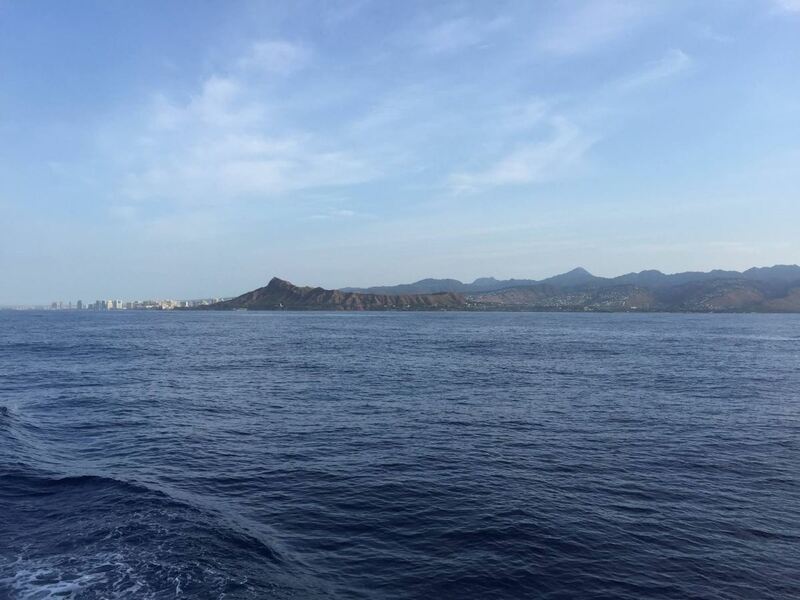 With our time in Hawaii fast running out we decided it was high time that we went to visit the island of Maui and anchor off the happening town of Lahaina. 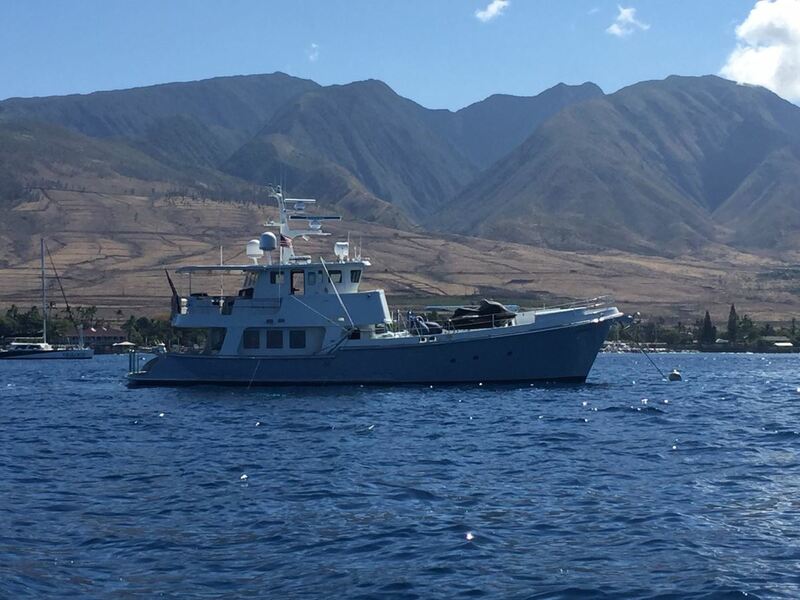 With the small boat harbor in Lahaina being too small and too shallow to accommodate Pendana, and with poor anchoring conditions offshore, we decided to pick up one of the water moorings which are kindly provided and serviced by Lahaina Yacht Club for visiting vessels. 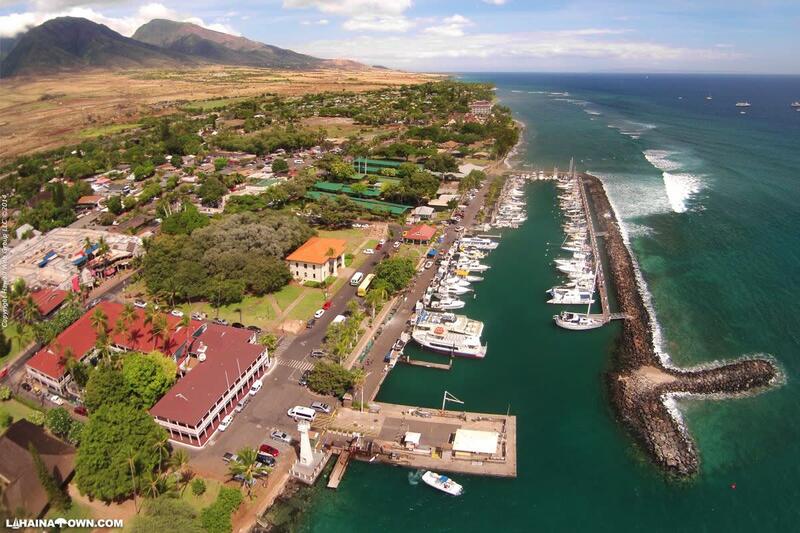 Our time in Lahaina, was wonderful and while we all felt a little wobbly on our feet for the first day or so, we soon got back into the rhyme of being back at sea. In fact, we wondered why we had left it so long. The cats on the other hand were somewhat dismayed at our decision to leave the safety and comfort of port, although I am pleased to report they soon got used to it and Oscar the Brave, truly loved sitting on the foredeck with the wind gently caressing his fur. 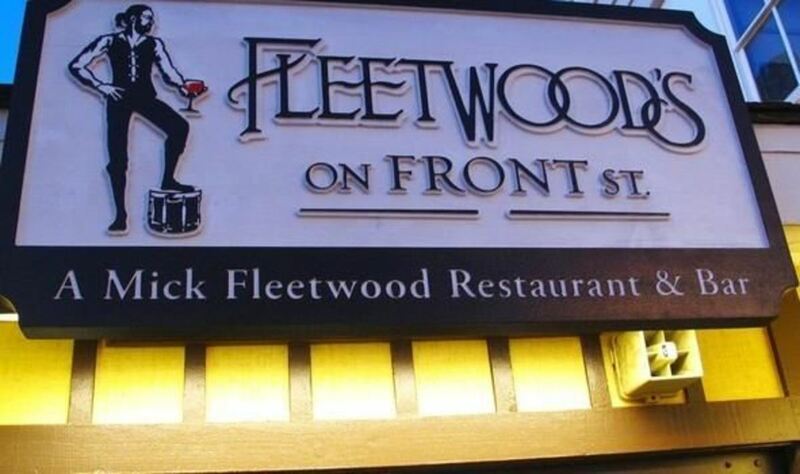 While in Lahaina, we planned to go out for dinner at Mick Fleetwood’s (from the band Fleetwood Mac) restaurant on Front Street. 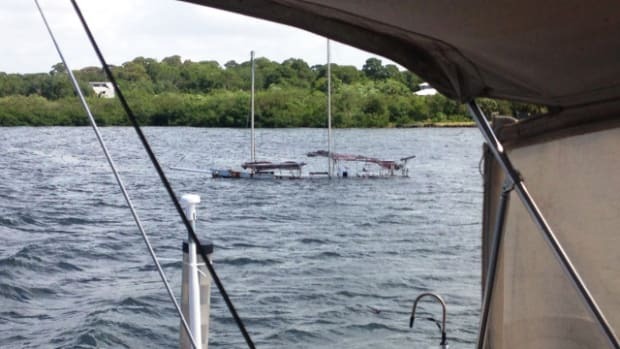 However the weather gods were not kind and with a squall coming through our plans were quickly cancelled in favor of staying with Pendana just in case the water mooring let go! For those who may not know, another Fleetwood Mac band member, John McVie is also a Nordhavn owner and keeps his boat in Ko-Olina. There is also a ‘rumour’ (no pun intended) that he is buying a larger N63 and will soon to take delivery, either-way, I am currently seeing if it would be possible to interview him on my blog so here’s hoping! JUST IN I have it from a very reliable source that John McVie, has in fact, taken delivery of a N60 (MV Pearl) and now has his N43 on the market. 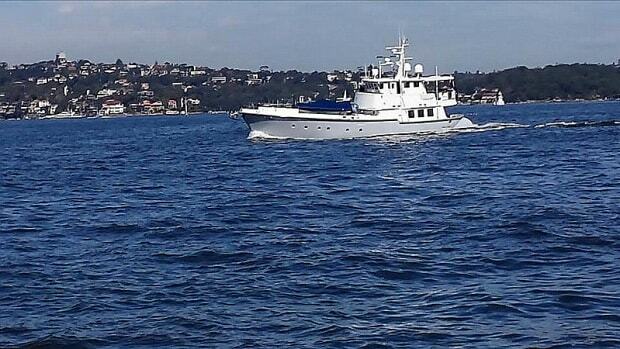 For those interested in buying a N43 here is the link to John McVie’s old boat (link here). I must confess that I have never really been into music but I did buy, as no doubt most did, the Rumours album back in 1977 when it was released. With classics such as “Go Your Own Way,” “Don’t Stop,” “Songbird” and “You Make Loving Fun” it was a truly remarkable album and I believe I still have it somewhere, although not on Pendana. With our time in Maui coming to end, another must see site for us was to go on the windward side of Molakai Island via the Pailolo Channel. We all wanted to witness with our own eyes the largest sea cliffs in the world! Jurassic, pre-historic, and awe inspiring, are just some of the words that spring to mind as we laid eyes on these magnificent cliffs for the first time. 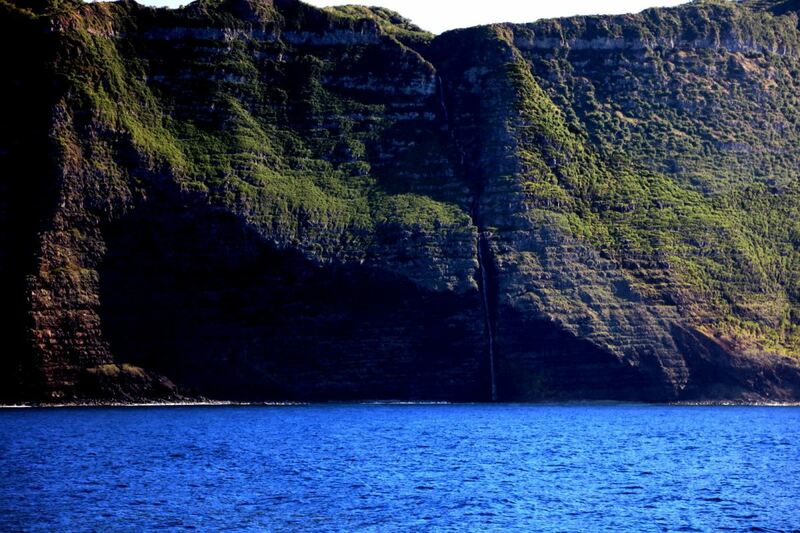 Hawaii truly does boast some of the most spectacular scenery on the planet and the sea cliffs on Molokai are no exception. 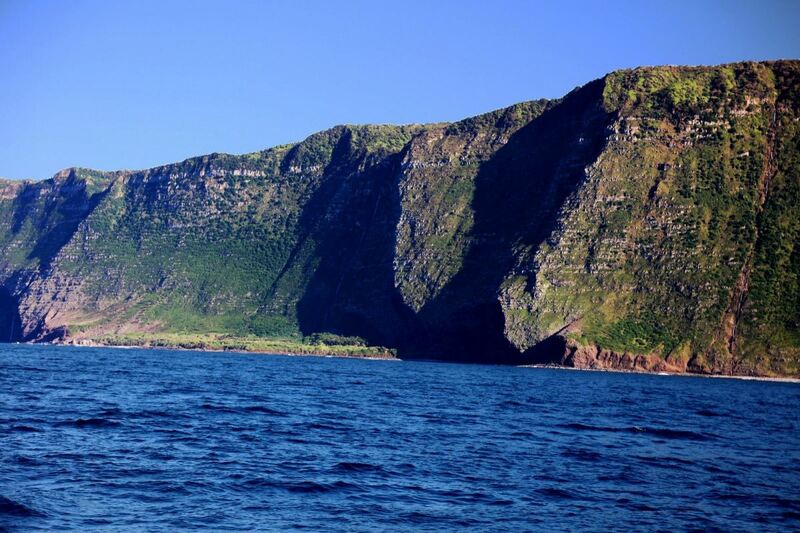 Considered to be the tallest sea cliffs in the world, the Molokai sea cliffs are between 3,000 and 4,000 feet high and rise dramatically from the ocean below. We also decided to take a quick run to see Molokini, which is a partially submerged volcanic crater. Molokini is apparently a great dive site and wildlife retreat, not that I would know, as Maui is also famous for its sharks, which tends to keep me out of the water! 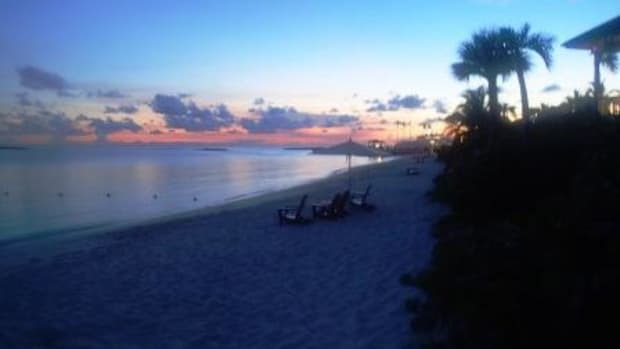 Another thing we needed to do was go to Ko-Olina Marinaon the west side of Oahu, which is incidentally home to about six Nordhavns with John McVie’s N43, Endurance, being one of them! 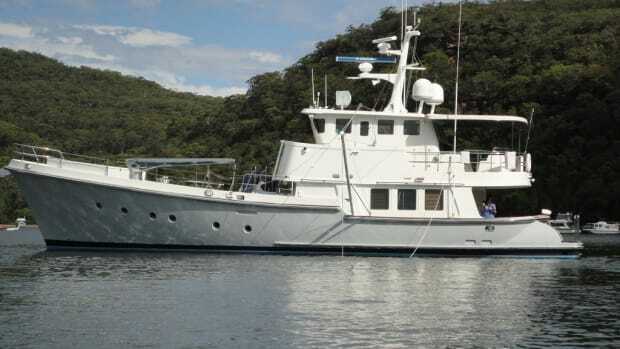 The reason for the trip was two-fold, one, top off Pendana’s fuel tanks in preparation for our trip to Alaska and two, say goodbye to our friends and pals Andy Pandy and Julie Nemier on Infinity as they were about to depart Hawaii for Tahiti. The cliffs are beyond-words magnificent. I must admit my entrance into Ko-Olina was a little ordinary and certainly not up to standard. The problems were many but basically we had about 22 knots of wind from the west/south west, building swells off shore coming from a cold front that was moving faster than forecast, a marina I was not overly familiar with and a serious lack of sleep all went to deliver a rather fast entrance into an unfamiliar marina. This was followed by me promptly putting my steering autopilot into ‘Program Mode’, meaning my rudders disengaged at that precise moment the incoming swell forced water (current) into the marina which promptly started moving Pendana towards a rock wall. YIKES! Thankfully, I was able to get my autopilot back on and into follow up mode (follow up mode basically means that instead of controlling the rudder with the large steering wheel in the pilothouse I use a little dial to control the rudder movement). This dial is electronic and unless one presses the right sequence of buttons (which I have done a millions times before without issue) one can find themselves without rudder. Anyway, I am pleased to say that I was able to pull off a pretty nice docking sequence in stiff winds, which helped regain some pride! With Larry and Marry (N57, No Plans) on the dock ready to catch our lines, all eventually went smoothly and to plan. Andy and Julie Nemier (note: Andy’s nickname is in fact, Andy Pandy or ‘AP’ for short!) are truly lovely people and the folks on Pendana will miss them once they have gone that’s for sure. AP’s super relaxed outlook on all things is refreshing and Julie’s continual hunt for the latest greatest products to help with life aboard, has certainly delivered some gems. For example, Blast it Out and Spotless Stainless are both remarkable products that every boater should have on board. We wish them all the very best for the number of LONG legs they have in-front of them and will miss them once they are gone, which by all accounts will be Tuesday, April 12th. Some pretty big news just in, Andy Nemier of Infinity fame, is now a California State Licensed Boat Broker and is in joining the JMYS team. 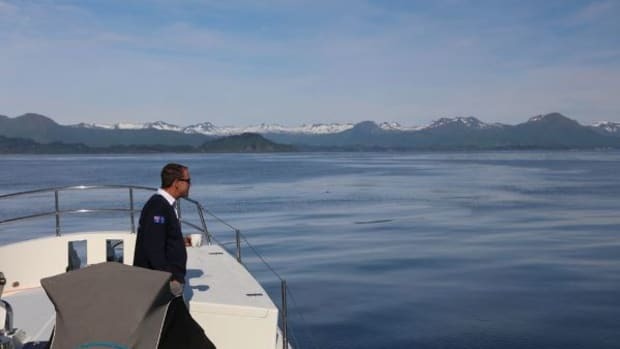 Jeff Merrill (JMYS), as most would know started his own brokerage business a few years ago after a long and very successful career with Nordhavn HQ. To read more about Andy’s appointment and JMYS please click here. Congratulations Andy, you will make a great broker!! Also for those interested Jeff from JMYS was interviewed for this blog sometime ago with the link to interview here. AP, Julie, Chloe and Kal (the Nemier’s adult children) and the Pendana crew all got together many times over the time we were at Ko-Olina and their children are delightful. Kal is, in a word, hilarious and Chloe is incredibly astute and altogether a force to be reckoned with. With such lovely children we are seriously questioning if in fact, Andy is the father! 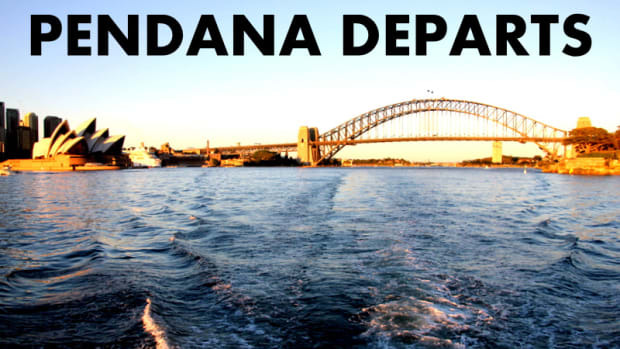 Refuelling Pendana was an altogether smooth event and now Pendana is ready for her 2,200nm run north to Alaska! 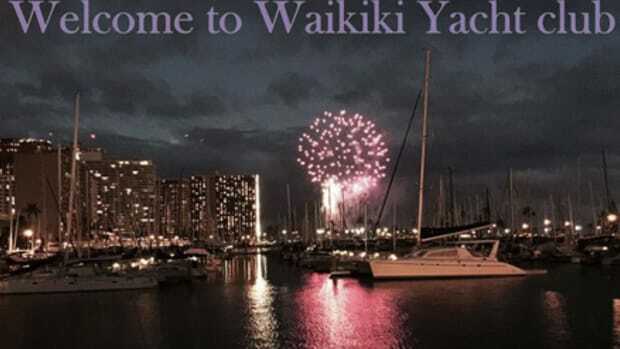 Before we knew it, it was time to return to the wonderful Waikiki Yacht Club and back to our berth on the end of E Arm. As it so happened we also need to say goodbye to the owners of Starr, Don and Sharry as they too were in final preparations to depart for Seattle. Don and Sharry are lovely people and Don is always so happy and has this naughty boy smile firmly fixed to his face, which often makes me wonder what he is getting up to! Sharry is in a word, charming and honestly puts most much younger folk to shame with her boundless levels of energy! I am sure we will see them both again once we get to Seattle later in the year. Waikiki won’t be the same without them! At this stage they plan to depart Waikiki tomorrow 8th April and either head direct for Seattle or lay over a few days in Kaneohe prior to departure. Safe travels guys! Pendana anchored with Maui in the background. Wouldn’t you know it! Just as I thought everything was going fine our Sub-Zero twin door under counter freezer with the all-important ice-maker decided to give up and die. Well after fifteen years of service who can blame it! With American Cabinetry on board, a new unit was soon installed. Some may remember these were the same guys who installed our new Miele washing machine (here). Again, if ever in Hawaii I can’t recommend these guys strongly enough. Both Steve and Ryan are real pros and do fantastic work. Thankfully the ice is flowing once again and all is back to normal. Also another item to sort out was our VSAT KVH V7 system, which for some reason needed a complete re-load of software and map files to bring it up to speed. 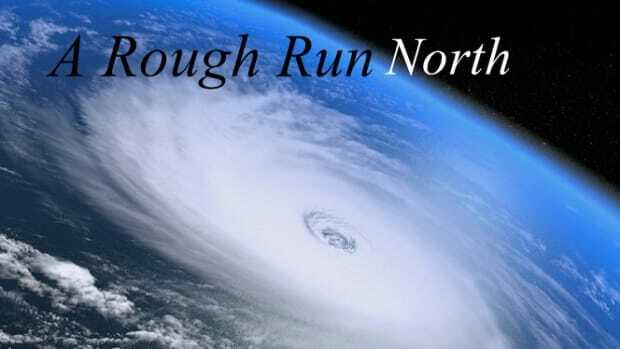 I must say the support from KVH was incredible and with their help I was able to flash the entire system (Satellite talk! ), upgrade all the software and reload all map files but alas the system simply would track either the 166 or 172E satellites for longer than a few minutes. As such, an RMA number was issued and Bianca and I carefully removed the modem and ACU and returned to KVH for service. Grrrrrrr. It should be back in few weeks and working as advertised. 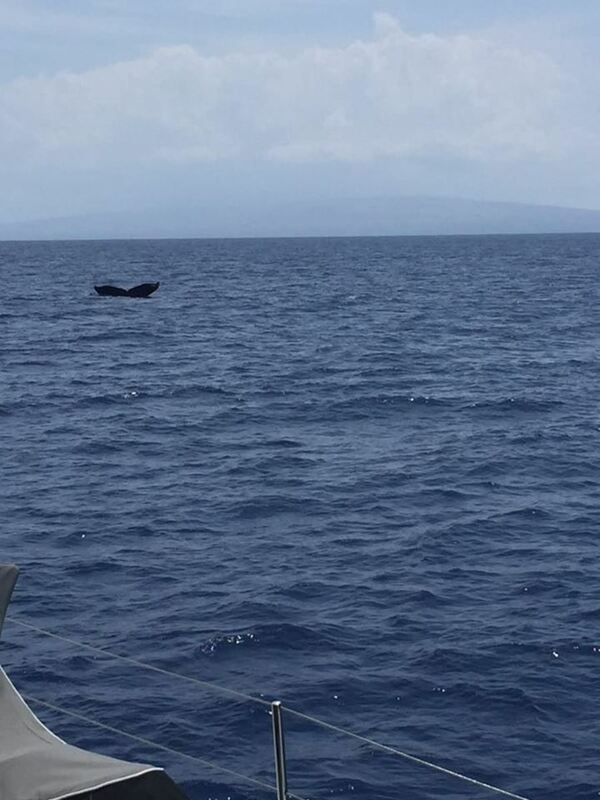 We saw plenty of whales along the way. Another item that finally said, No more, was our Offshore Marine Labs 1200GPD water maker. Now, this water maker has been abused, given very little love but has continued to perform flawlessly over the almost five years we have owned Pendana, but the time had come where it said, “Mate, enough is enough, I need new membranes!” So, with a quick call into Yachttech, three new membranes were ordered and on their way. Based on past membranes life we can now look forward to another seven years of making water! I have said before, large and small boats are in a constant state of repair. Boats are not like houses that sit quietly on a piece of land but rather floating homes sitting in the harsh salt water environment which is constantly moving. They require constant attention and constant money spent on them to keep them in tip top shape. We have always taken the view that it is better to replace items early than to have them fail when at sea and as such, when we recently noticed a strange noise coming from the back of our M Series head (toilet) pumpwe placed an order for new one straight away from the folks at Southern Cal Marine. At $4,600 they are not cheap but considering the vital role this pump plays in our head system it is 100 percent necessary. No doubt we will get another fifteen years from the new pump. Another item that I was not pleased with recently was our Groco PST-5 accumulator tank. As mentioned earlier in a previous blog (here) the Groco accumulator tank provides water under pressure to all faucets throughout the boat without the need of running the fresh water pump. Anyway, long story short, the bladder inside the accumulator tank that separates the air pressure from the water under pressure, had finally failed. With a quick call into Defender Industries a new tank was on its way, quickly installed and working perfectly! I must say I was very impressed with this companies customer service overall and will use them again. Pendana and Infinity back in July of last year. 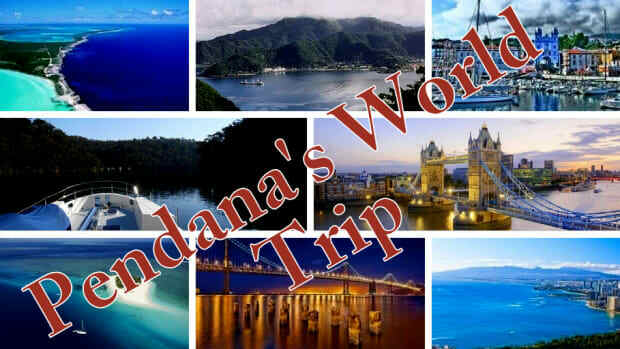 To read more Pendana Blog, visit Jame&apos;s website, here.